All USSF affiliates, including the Wyoming Soccer Association, require that all participating referees be certified by the United States Soccer Federation (USSF). It is the goal of the WSA State Referee Committee to actively recruit, develop, certify and advance referees for all levels of play. 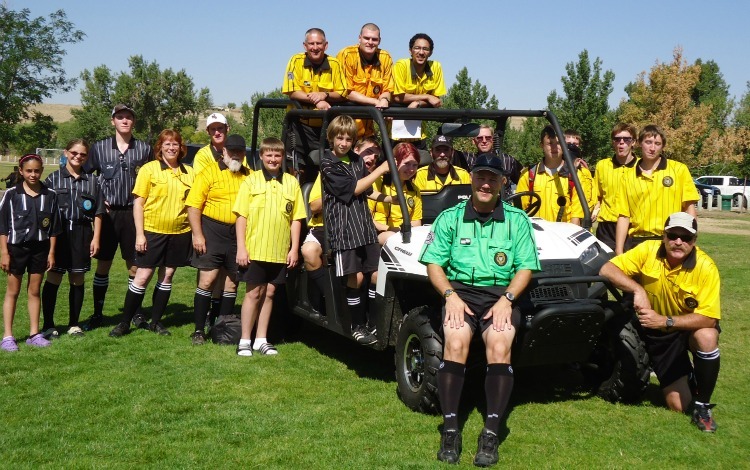 The Wyoming Referee program offers one entry level clinic, the USSF Grade 8 Referee, which is sponsored by affiliate organizations in various locations throughout the state. In order to become certified, participants must attend one of the courses, which will be posted on this site and promoted to our membership.